Tonight was pizza night because I declared it a no-cooking night. 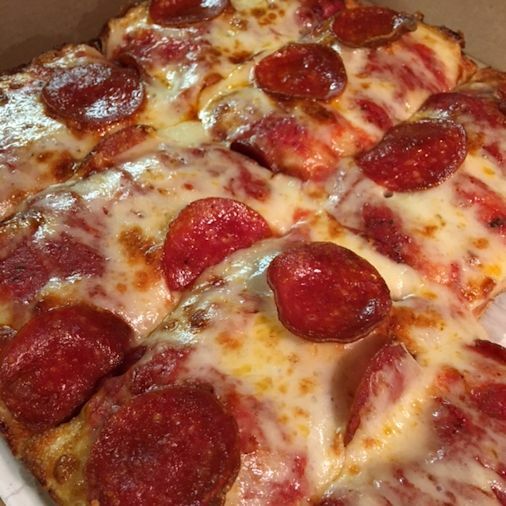 Our favorite is Jet’s Pizza. It reminds me of Petrillo’s Pizza that we used to get in Ohio. It’s amazing how a smell can take you back to a place from over 45 years ago to something that you barely remember, but this pizza sure does. The smell is identical when you walk in the door. And now on to EAGLE EGGS! The Berry College eagles laid their first egg today. And yes, I realize that only the female laid the egg so my use of “their” is technically incorrect but since eagles mate for life, I’m throwing a little credit over to the male. The first egg of this year was laid at about 5:30 p.m. today. I watch these birds so much that I feel like they are my pets. If you want a very close and personal view of the eagles, go to the Berry College website and scroll to the bottom to find their eagle cam. Or simply Google “Berry Eagles.” Here is a picture of the first egg. Makes you think twice about eating a scrambled egg!!! Not only do eagles nest for life, the pair usually keeps the same nest and simply rebuilds on it each year…kinda like redecorating??? ?